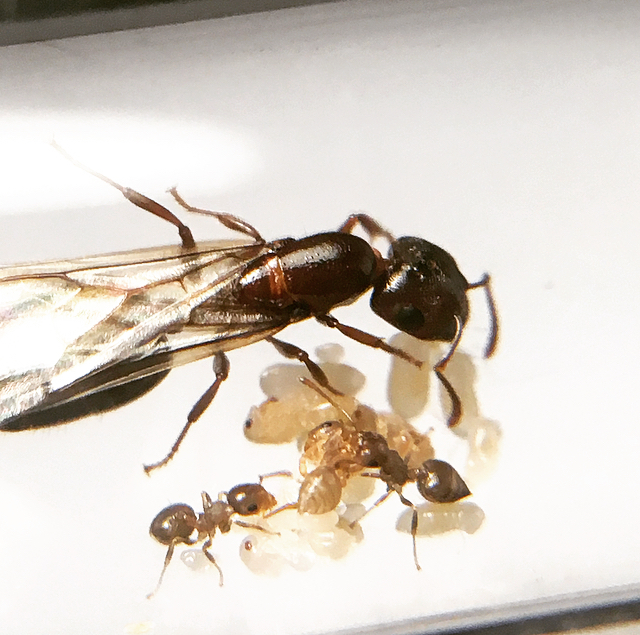 Returning again to the Ant ID section of the forum for these two different species. 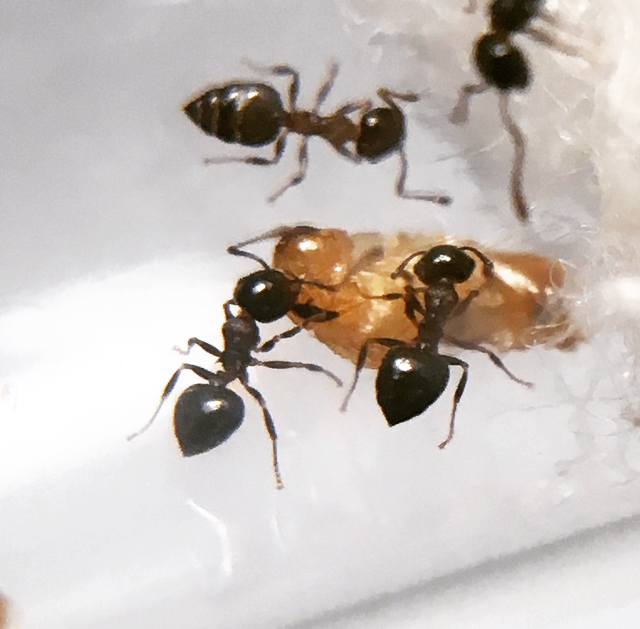 After taking a closer look at these queens, I noticed that one was darker in color, and had slightly larger eyes than the other. 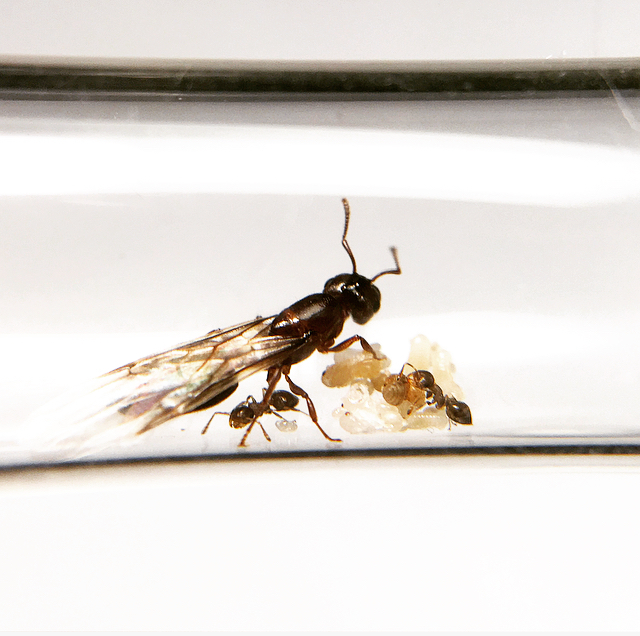 My guesses for these two species would be: C. Vermiculata (Darker one), and C. Coarctata (Lighter one). 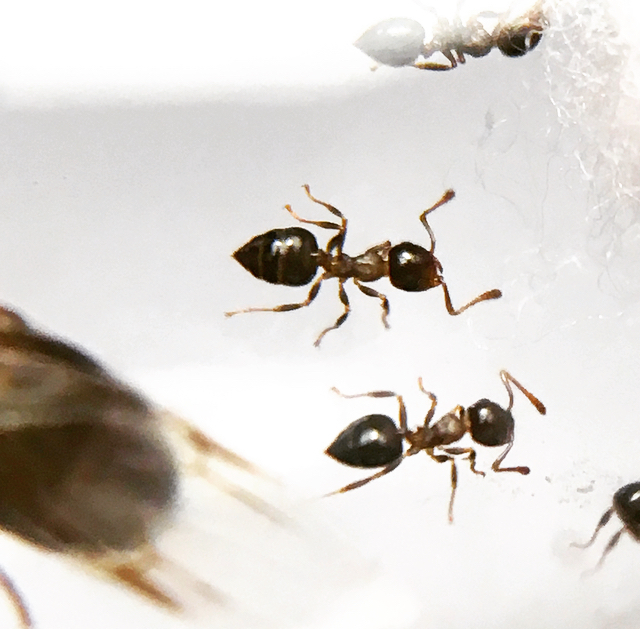 I checked on the AntWiki on both those species, and it said that they were hard to differentiate, other than the worker's thoraxes. 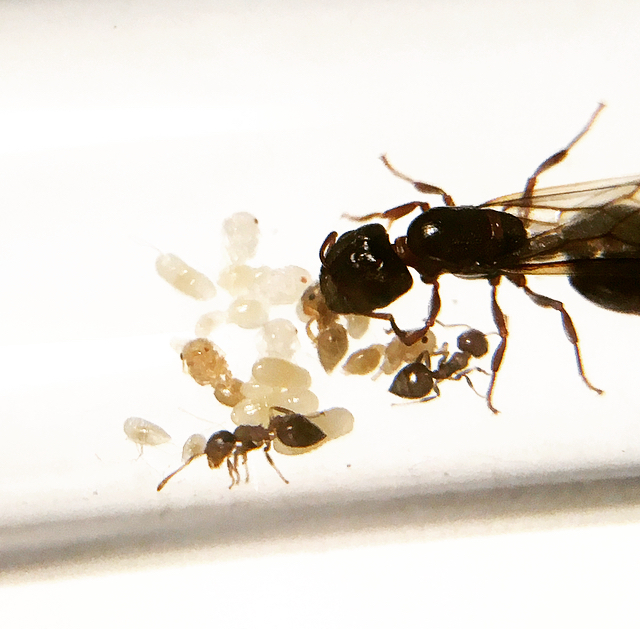 Nothing was said about differentiating between queens. 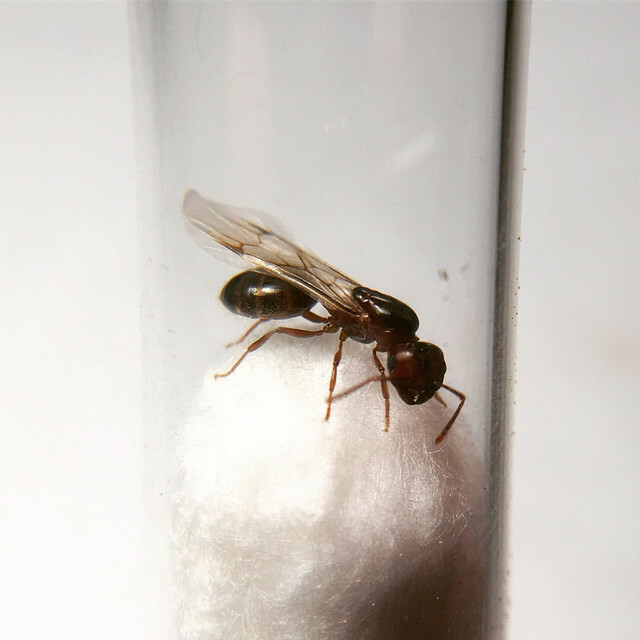 Queen 1: Crematogaster cf. 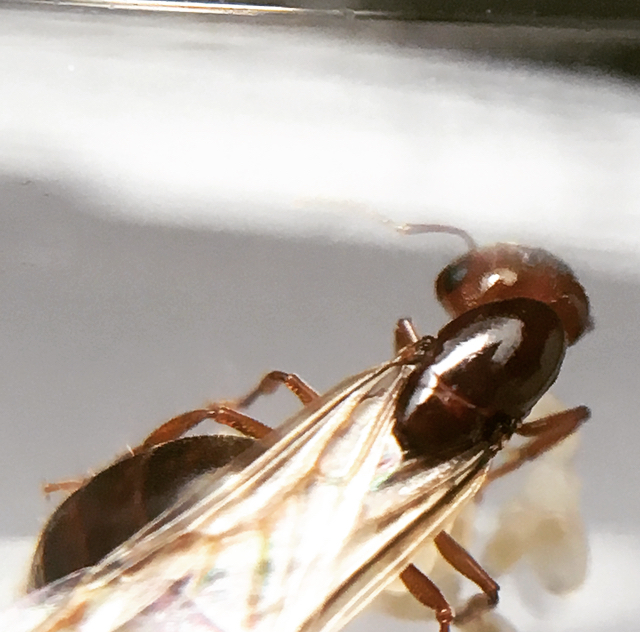 Vermiculata? 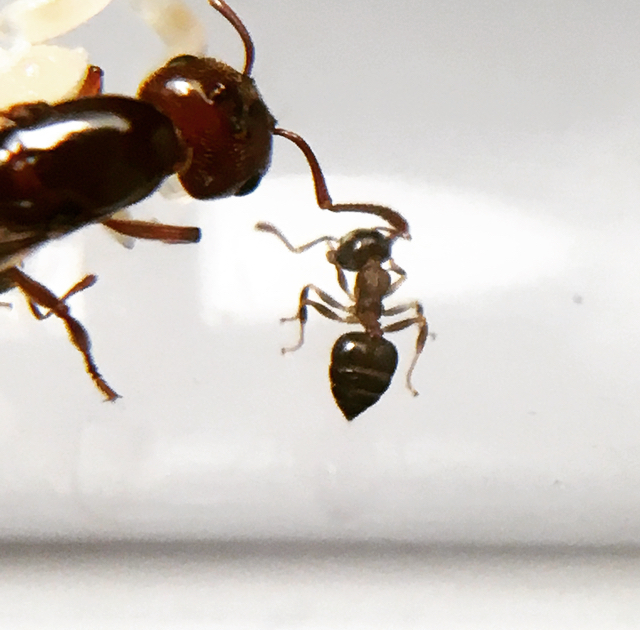 Coloration: Head, and thorax: Dark red. More on the brown side. Abdomen: Black. Legs: Dark Red. 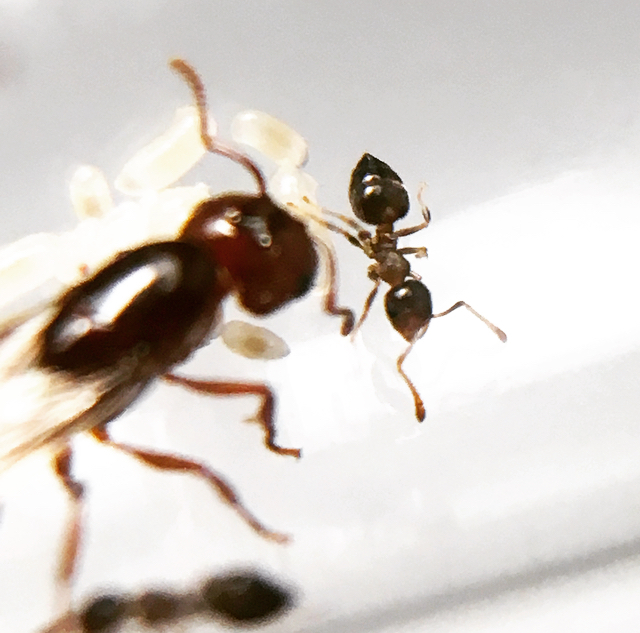 Queen 2: Crematogaster cf. 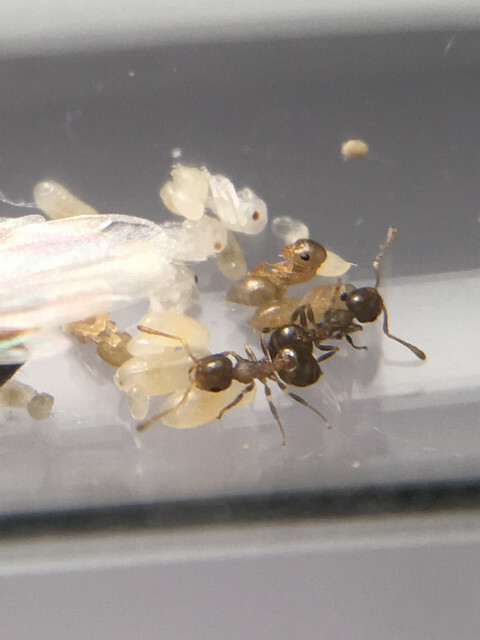 Coarctata? 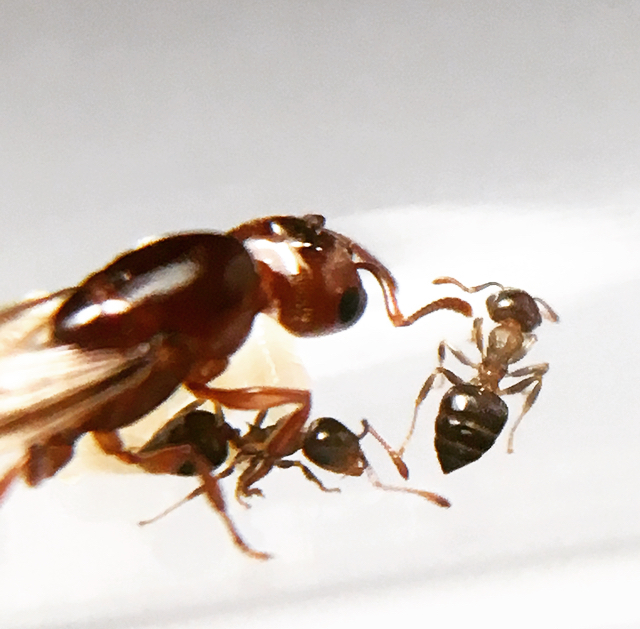 Of the few Crematogaster species that are found in Nevada, I'm almost entirely sure that these species are the correct ones, but I would like other's opinions as well. Thank you for reading this far. 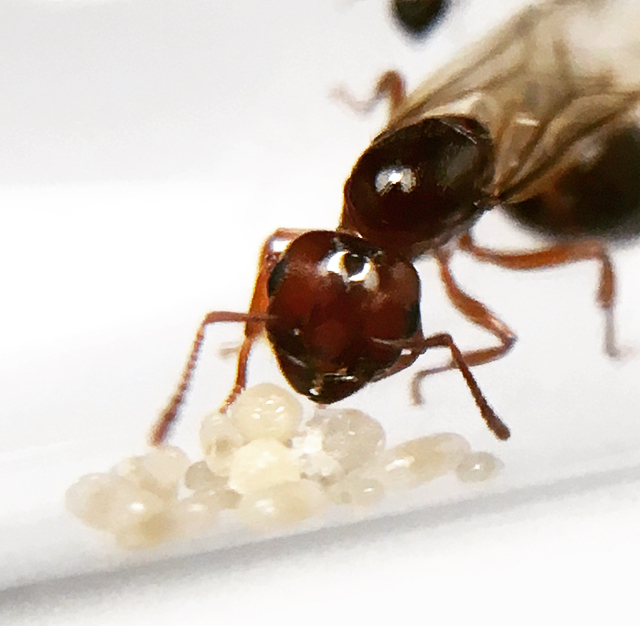 Edited by Ender Ants, September 8 2018 - 7:53 PM.